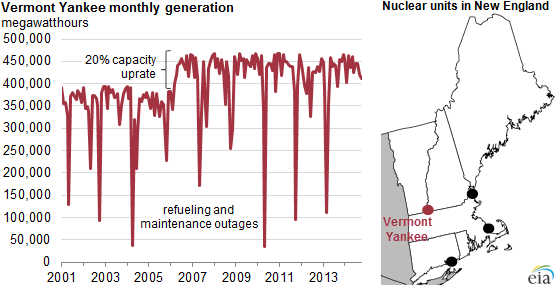 I was cruising around the web looking for some information on coal employment(don’t ask), and came across an interesting tidbit of news: After 41 years of operation, the Vermont Yankee Nuclear Power Plant ceased operation and was disconnected from the grid in December of 2014. 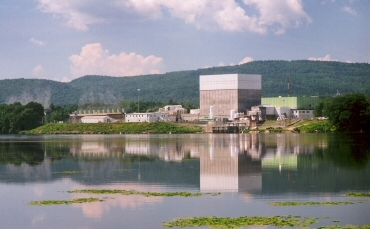 The Vermont Yankee Nuclear Power Plant had a commercial life of 41 years. At shut-down, it supplied about 70% of Vermonts electricty demand, or about 4% of total New England electricity production. In commercial operation since 1971, when closed, the plant was supplying about 450 megawatts of power, or about 70% of Vermonts electricity demand. While Vermont doesn’t have much demand per se, they did have the cleanest electricity portfolio in the country. 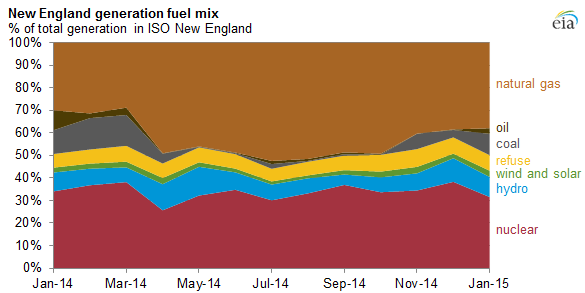 The 5 million MegaWatt-hours of power production per year represent 4% of all of New England electricity production. One item that is interesting here is why the plant is closing. 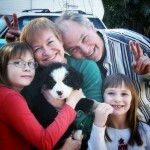 In 2010, the Vermont Legislature voted to block the Vermont Public Service Board from consideration of granting the plant a new Certificate of Public Good (one of the many, many hurdles needed to be cleared to continue running the plant). Despite the concern of the local power consumers (like IBM, who thought the legislation was counter productive), the vote passed. In 2011, the Nuclear Regulatory Commission granted a permit for another 20 years operation, and the owners sued the state and won, nullifying the legislation! Seemed like clear sailing ahead! But the drop in electricity prices from natural gas plants was too steep, and it 2013, the owners announced the closure due to market forces. The history of Vermont Yankee is a long one. Greenpeace has a list of problems at the plant here, but it’s interesting to note that this list doesn’t have any huge events on it. Also, for some reason, Greenpeace stopped updating the list after plant ownership was spun off to Entergy. But despite all the bickering, there is no denying that Vermont Yankee, at maturity, was producing base-load power at below market rates with practically no carbon emissions at all. 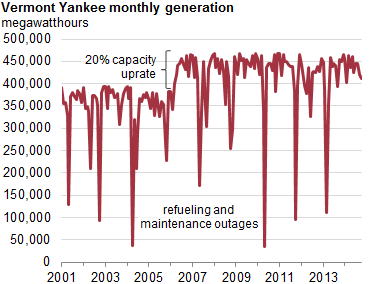 Vermont Yankee has been just humming away at very high utilization for quite a while. Data from US Energy Information Administration. This is massive bad news if you care about carbon emissions (or acid rain, asthma or the host of other problems associated with coal use), and one that many of the anti-nuclear power crowd chose to ignore: If you turn off the nuclear plants, renewables can’t either grow fast enough or provide steady enough power to replace the ultra dependable practically carbon-free power that nuclear provides. This means that less nuclear means more greenhouse gasses. No matter what. So, there you have it. The plant closed because of cheap electrical power from natural gas that can’t really make it into the local grid. With the closure of Vermont Yankee, both a bunch of Greenies and a bunch of Coal Barons are both cheering. Go figure! Previous Previous post: Read This Book!